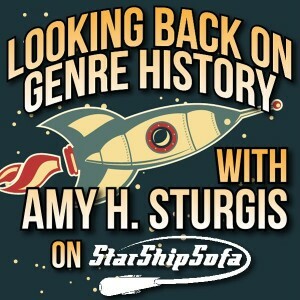 My most recent "Looking Back on Genre History" segment on StarShipSofa discusses the 1935 dystopia It Can't Happen Here. It's here on Episode 451. If you listen, I hope you enjoy! I just listened to this one this morning. My husband has been trying to get me to read It Can't Happen Here for some time, & told me this was THE year to read it. Now, thanks to your excellent segment, I know why. And I will! You have absolutely made my day! Thank you so much for listening and for letting me know you liked it. I hope you enjoy -- if that's the right word -- It Can't Happen Here!